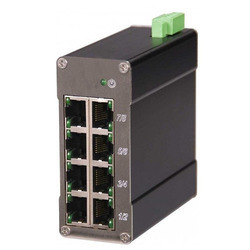 We are leading trader of Industrial Ethernet Switches. 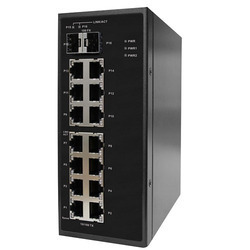 Our high performance 8 Port Industrial Ethernet Switches Managed switch enables industry networks to be optimally structured for handling transport routes & network traffic throughput. All switches are protocol transparent. Every port forms its own network segment, its own collision domain. We have attained specialization in offering an extensive range of 16 Port Industrial Ethernet Switches, which includes Managed & Unmanaged Ethernet Switches, Wireless Modules and WAP. These products are designed and developed making use of premium quality raw material and components at our vendors' end.